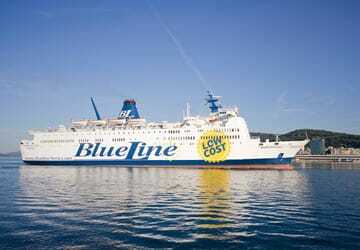 Blueline operates ferry services transporting passengers and vehicles between Croatia and Italy. Blue Line ferries crew and staff aim to exceed your expectations during the crossing with their first class service, a top quality gastronomic experience, duty free shops and cabins. The Blue line ferry service features year round connections between the Italian port of Ancona and the Croatian port of Split, as well as seasonal services to the Croatian ports of Stari Grad and Vis. Blueline ferries transport around 200,000 passengers annually across the Adriatic.